This living tree consensus remains dominant because those who oppose it are often viewed, rightly or wrongly, as being against the Charter in its entirety. There is, however, a neglected middle-ground between the living tree and anti-Charter positions – one that acknowledges the legitimacy of the Charter and judicial review, but also seeks to place limitations on what the Charter protects. If Charter expansionists are for ‘judicial supremacy’ and Charter abolitionists are for ‘legislative supremacy,’ then this third way may properly be understood as advocating ‘constitutional supremacy’. This viewpoint, which has deep roots in the Canadian legal tradition, accepts that the Constitution – including the Charter – is the supreme law of the land and that judges do and should have the power to void unconstitutional laws; but that, in exercising that power, judges must remain faithful to their constitutional role, which is “to apply the law, not to make it.” In short, it offers the common-sense proposition that the Constitution should be interpreted based on what it actually says, not what some might wish it would say. In this paper, I examine section 7 of the Charter through the lens of constitutional supremacy. I explain that the interpretation of this section is no longer constrained by the text or coherent legal doctrine. I then argue that the only approach to Charter interpretation consistent with the values of democracy, the rule of law and a predictable legal order is one that is wedded to the text and settled legal doctrine. In closing, I offer a basic framework for interpreting section 7 in future cases. The evidence is clear that the framers of the Charter wanted to limit the application of section 7 to issues of procedural fairness – essentially (and at the risk of oversimplifying) to ensure that no one’s life, liberty or security of the person was taken away without the benefit of a fair hearing. They did not want it to incorporate substantive rights – which would allow section 7 to be used to invalidate legislation. The ‘intent’ of the framers should not be relevant in and of itself, but the language with which that intent was expressed in law most certainly is. The heading over section reads “Legal Rights” and section 7 is followed by seven further sections that each provide other procedural protections. 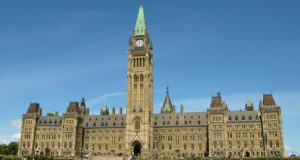 Perhaps most importantly, section 7 states that individuals shall not be deprived of life, liberty or security of the person except in accordance with the “principles of fundamental justice.” Section 7 incorporated much of the language from section 1(a) of 1960 Canadian Bill of Rights, the legislative precursor to the Charter, but substituted the phrase “due process of law” with “principles of fundamental justice.” The reason is clear. The framers were understandably concerned that ‘due process of law’ would be interpreted by the courts to include substantive guarantees, having witnessed the development of “substantive due process” jurisprudence in the United States. The substitution of “principles of fundamental justice” seemed to be a safe bet. This phrase came directly from section 2(e) of the Canadian Bill of Rights and had been interpreted by the Supreme Court of Canada just ten years earlier to mean a fair hearing before an impartial tribunal – in other words, a procedural, not substantive, right. In the first three years following the Charter’s enactment, a number of decisions considered the meaning of ‘principles of fundamental justice’ and generally agreed that it provided procedural protections only. However, this early jurisprudence was quickly swept aside following the Supreme Court of Canada’s decision in the 1985 B.C. 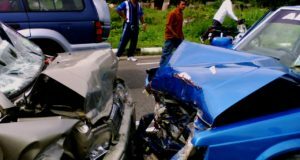 Motor Vehicles Reference, which held that the principles of fundamental justice could also include substantive protections – in that case, that offences which provide for a prison sentence must require some degree of fault or intent on the part of the defendant. There can be little doubt that B.C. Motor Vehicles and other early Charter decisions such as R. v. Morgentaler expanded the original meaning and intended application of section 7. On the other hand, these decisions seem tame from the perspective of 2016. They concerned real deprivations of liberty or security of the person, and the Supreme Court limited the meaning of principles of fundamental justice to include only the “basic tenets and principles” of the legal system. The same cannot be said for the Court’s more recent section 7 jurisprudence. In Canada v. Bedford, for example, the Court struck down three provisions of the Criminal Code dealing with prostitution. Bedford is problematic for four reasons. First, unlike B.C. Motor Vehicles, there was nothing on the face of these laws that deprived prostitutes of their security of the person. The Court based its decision instead on the lower court judge’s findings concerning the indirect effects of the law, findings which the judge had made based on contentious social science evidence. Second, there was no evidence that the indirect effects of the law actually deprived prostitutes of their security of the person. Despite the clear wording of section 7, the Court looked only to whether the laws “negatively impact or limit” security of the person, not whether there had been a deprivation. Third, the Court found that laws violated the principles of fundamental justice as they were either “overbroad” – meaning that the law interferes with some conduct that bears no connection to its objective – or “grossly disproportionate” – meaning that the effect of the law on individual rights is grossly disproportionate to the law’s objective. Suffice it to say, neither principle was considered “fundamental” at the time of the Charter’s enactment and it is far from clear that either enjoys “significant societal consensus,” which is the Supreme Court’s own requirement for affirming new principles of fundamental justice. And unlike the fault requirement in B.C. Motor Vehicles, neither is “capable of being identified with sufficient precision to yield a manageable standard.” Both are inherently value-laden concepts that provide judges with a wide platform to impose their own policy preferences. Fourth, just as it did in the more recent Carter decision dealing with physician-assisted dying, the Court in Bedford overturned its own precedent from just two decades earlier. It did so, not because Canadian society had fundamentally changed in the last 20 years, but because the “social, political and economic assumptions underlying” the previous decision were no longer valid. The takeaway message is that if litigants are able to marshal new social science evidence not accounted for in an earlier decision, the previous decision may be overruled. This will naturally encourage the re-litigation of any and every issue that was thought to have been decided, will leave litigants in an unpredictable legal morass, and will transform Charter applications into a battle of the experts. Bedford does not stand alone. It is representative of the direction in which the Supreme Court has taken section 7 – and indeed the Charter as a whole – a direction that appears to be unencumbered by the Court’s own precedents and is increasingly divorced from the constitutional text. Still, many argue that the Court has not gone far enough – that the interpretation of section 7 should be expanded even further to impose upon government positive obligations to reduce poverty, provide adequate shelter and housing, and even ensure the quality of the environment. Such an interpretation would hammer the final nail into the original meaning of section 7, effectively obliterating the “Legal Rights” heading and undermining the long-accepted basic purpose of section 7, which is to protect individuals from the state. 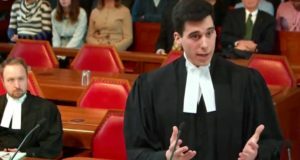 It would amount to an unprecedented transfer of economic and political power away from the people’s elected representatives in favour of nine unelected judges who would essentially be granted carte blanche to impose their own unique and subjective socioeconomic preferences upon the Canadian public. Thankfully, the Supreme Court has rejected a positive rights reading of section 7 – for now. In the 2002 Gosselin decision, a 7-2 majority of the Court held that a Quebec law that reduced welfare payments to persons under the age of 30 did not violate section 7. However, and crucially, the majority stated that “[o]ne day s. 7 may be interpreted to include positive obligations” evoking the metaphor of the Charter as a “living tree” and noting that “[i]t would be a mistake to regard s. 7 as frozen, or its content as having been exhaustively defined in previous cases.” The future, in other words, in anyone’s guess. Far from shutting the door on a positive rights interpretation of section 7, the Gosselin decision actually emboldened the positive rights movement. The real world consequence is that no one can say with any certainty what the Charter actually protects from one day to the next. The previous section touched upon the various problems with an overly expansive interpretation of section 7 (or any constitutional provision for that matter). The basic case for an approach that remains anchored to and constrained by the constitutional text and settled doctrine is, as I stated earlier, that this is the only method of interpretation consistent with the fundamental values of democracy, the rule of law and a viable predictable legal order. This bears explaining in more detail. 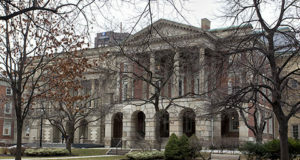 The “living tree” approach to Charter interpretation empowers the courts to create rights or obligations that are found nowhere in the democratically enacted text and, in doing so, places fundamentally moral choices in the hands of nine unelected individuals who have no special expertise in these issues and typically represent a privileged segment of society. If judges give up on merely interpreting and applying the law as written, and invade the domain of social policy, then they will no longer be viewed as neutral umpires. They will instead be treated as legislators and will be selected based on their political ideology, not their legal brilliance. At the same time, our legislators will be discouraged from tackling politically sensitive issues, preferring instead to punt them to the unelected and unaccountable judiciary. The Court’s rulings, rather than fundamental values and first principles, will define the scope of debate, as we have seen in the context of prostitution and assisted dying. The democratic objection is not merely philosophical. Legislatures are, by their very nature, designed to be deliberative bodies. Courts, by contrast, are designed to dispense justice efficiently. They do not hold debates or committee hearings. Their mandate is not to find a compromise position that gives due regard to disparate interest groups, but to make definitive findings of fact and rule in favour of one party or another. Put succinctly, courts lack the infrastructure and the institutional competence to tackle complex social policy issues. The typical response to this argument is that the Constitution’s amending formula is onerous and so it must be left to the courts to make incremental changes where necessary. This point certainly weighs against an overly narrow interpretation of the Charter and may warrant some judicial “gap filling” in limited circumstances, but it falls far short of justifying the expansionist interpretation of section 7 that has taken hold in recent years. There is simply no basis to suggest that Parliament was incapable of tackling prostitution or assisted dying on its own and required judicial intervention. That Parliament had chosen to retain the laws was not evidence of legislative paralysis; it was evidence of legislative choice. 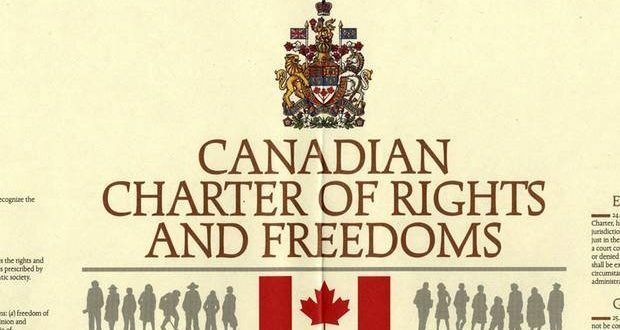 Advocates for an expansionist reading typically argue that the Charter was part of the universal human rights movement and should be interpreted in accordance with international human rights conventions to which Canada is a signatory. With respect, this is a dubious argument. International human rights conventions do not become positive law unless and until they are incorporated into domestic legislation. There are many textual differences between international human rights documents, on the one hand, and the Charter on the other (most notably the absence of positive rights in the Charter), which cast doubt on the notion that the former should guide the interpretation of the latter. The Fathers of Canadian Confederation placed a high premium on liberty. But unlike the American revolutionaries, who often spoke of liberty as an a priori concept found in the laws of nature itself, Canada’s founders and early statesmen saw liberty as a function of political society and human experience, and thus, to be defined and limited by the people themselves through their elected representatives. The B.N.A. Act (now the Constitution Act, 1867) placed certain constraints upon legislative bodies to safeguard rights – notably, the Senate (vis a vis the House of Commons), disallowance (vis a vis provincial legislatures), and, arguably, the division of legislative powers between Parliament and the provinces – but these were limited exceptions to the general rule that democratic legislatures should craft laws as they saw fit. Viewed in this light, the Charter is just one further constraint upon legislative sovereignty, albeit an important one. It does not fundamentally alter Canada’s democratic character. As with other constitutional constraints, the Charter must be understood as a limited exception to, not a wholesale departure from, democratic choice. 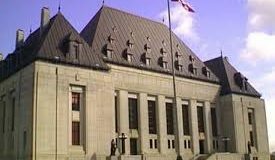 The Supreme Court of Canada has, on more than one occasion, acknowledged the fundamental importance of the rule of law, which is set out in the preamble to the Charter itself. At base, the rule of law means that all government officials, including judges, are subject to the law, including their proper constitutional role. The Court has also affirmed “the primacy of the written text of the Constitution.” While the Charter is distinct in scope from an ordinary statute, it is still a legal document and must be interpreted as such. If in interpreting the Charter, the Court changes the meaning of the text, it effectively amends the Constitution and thereby exceeds its own constitutional authority. An ever expanding reading of the Charter makes for a fundamentally unpredictable legal order. It means continually revisiting and reopening issues, and setting aside past precedent whenever it has fallen out of fashion with what judges believe the Charter ought to protect. Canadian courts have long recognized the importance of the ancient Latin maxim ubi jus est aut vagum aut incertum, ibi maxima servitus prevalebit (meaning ‘Where the law is either vague or uncertain, there the greatest slavery will prevail’). A body of laws that is applied predictably and with consistency is one of the hallmarks of a free society, as it allows individuals to know what the law is and to plan their lives accordingly. It also provides litigants with the foreknowledge of how their case will be decided, which reduces legal costs and ultimately provides greater access to justice. Proponents of the living tree doctrine will argue that what is lost in predictability and certainty is more than made up for by the affirmation and protection of human rights. The fatal flaw in this reasoning is that the living tree has the potential to grow in any number of ideological directions. A living tree approach under section 7 may guarantee a right to public housing, but it may also guarantee a right to private property. Or it may guarantee none of these things, and may be “read down” to exclude certain procedural guarantees. 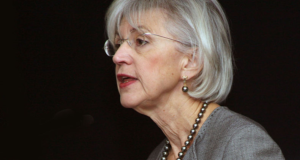 At a recent legal conference, Justice David Stratas of the Federal Court of Appeal framed the issue in this way: in the face of some crisis that leads to the abridgement of civil liberties, would we want the judge deciding the constitutionality of the government’s actions to be able to turn to “fundamental principles, consistently applied over decades,” or simply rely upon “her or his own worldview?” In the end, those who seek rights at the expense of a predictable legal order may very well end up with neither. The case must engage a “Legal Right”: The alleged deprivation of life, liberty or security or the person must occur in the context of the administration of justice. Where a substantive law is being challenged, that law must amount to a criminal or regulatory offence. The law must truly “deprive” an individual of life, liberty or security of the person: Most section 7 decisions spill relatively little ink on whether the law in question actually amounts to a deprivation of section 7 rights. The Court will generally speak of section 7 rights being “infringed” or even “engaged” by the law, and devote most of its analysis to the principles of fundamental justice. The text is clear, however, that the state action must amount to a real deprivation, which is a higher hurdle to overcome than mere infringement. While the term “deprived” need not be read strictly, neither should it be read down or ignored altogether. Secondly, the Court should look at the law on its face, examining its purpose and its immediate legal effects. 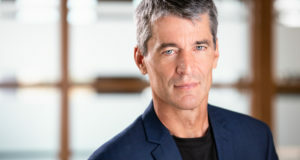 Where there is an indirect or tenuous causal connection that cannot be proven without voluminous social science evidence, the Court should defer to the legislative branch and uphold the law. A principle of fundamental justice must actually be “fundamental”: If the principles of fundamental justice are to include substantive principles, then they must truly comprise the “basic tenets” of the legal system. The fault principle developed in B.C. Motor Vehicles is capable of being applied with consistency and predictability, as is the principle that laws should not be vague. Even the principle that laws should not be arbitrary is workable if applied with consistency. Conversely, the principle that laws should not be “overbroad” lacks precision and provides judges with wide discretion to strike down laws they dislike. Reasonable people may disagree over how to characterize a law’s purpose or whether the law has overshot that purpose. Moreover, very few laws will be perfectly tailored to their underlying purpose, and the reasonable legislator or citizen may very well prefer a law that is somewhat overbroad to one that fails to meet its objective. In sum, I am not arguing that the Supreme Court return to the original intended meaning of section 7, but rather to the section 7 of the early Charter decisions – an approach that eschews a strict construction, but “is constrained by the language, structure, and history of the constitutional text.” It is this method of interpretation that views the written Constitution as supreme, and that prioritizes democratic values, the rule of law and a viable predictable legal order over the subjective preferences of judges and interest groups. As a free and democratic people, we should demand no less. However, this may be changing slowly but surely. See here, here and here for example. See for example F.L. Morton and Rainer Knopff, The Charter Revolution and the Court Party. Toronto, University of Toronto Press, 2000, which is generally taken as being an anti-Charter text. Severn v. Ontario, (1878), 2 S.C.R. 70 at 103 (dissent); Currie v. Harris Lithographing Co.,  O.J. No. 52 (C.A. ); R. v. Crosstown Motors Ltd.,  A.J. No. 132, para. 31 (Ct. Jus). Ibid. See also, Mark Carter, “Fundamental Justice in Section 7 of the Charter: A Human Rights Interpretation” (2003) 52 U.N.B.L.J. 243, at 247-248. Quoted in R. v. Hay (No. 1) (1982), 38 O.R. (2d) 4 [Emphasis Added]. Janet Ajzenstat, Paul Romney, Ian Gentles & William D. Gairdner, eds., Canada’s Founding Debates. Toronto: Stoddart, 1999, pp. 13-21. RCB Risk, A History of Canadian Legal Thought: Collected Essays, eds, G Blaine Baker & Jim Phillips. Toronto: University of Toronto Press, 2006, pp. 100-103. Hogg, supra note 4, para. 16. The principles that laws should not be “grossly disproportionate” or “shock the conscience” of Canadians are similarly imprecise and also raise practical interpretive issues.